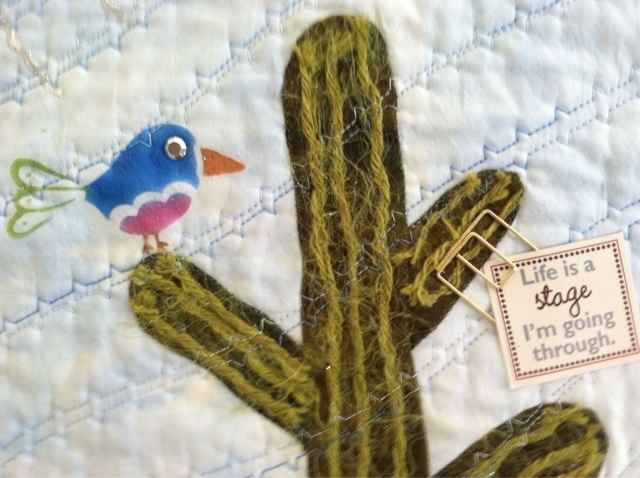 Cactus Quilters: "Life is a Stage I'm going Through"
My newest little "Art Quilt"
I will be teaching this at my quilt guild Desert Lily's in October. 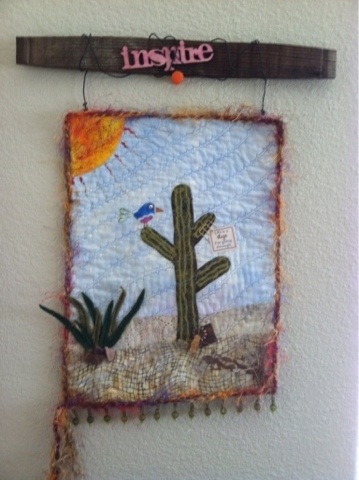 I look forward to showing the ladies some fun techniques like free form curved piecing, couching with yarn ( saguaro cactus is sporting that), yarn binding, working with 3D objects ( found junk on one of my walks), Shiva paint sticks ( funky little bird and semi hidden lizard behind the sticks, cause that is how they roll), foil and glitter too. So we should have a high old time creating this fun little piece. 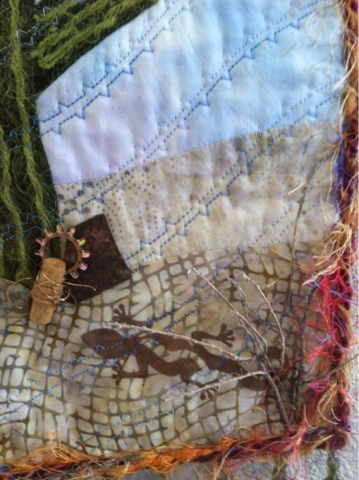 Here is close up of the lizard hiding behind the sticks and some junk I found alone the way. You know it's unfortunate that trash is in the desert, but art does imitate life after all, so the junk stays. 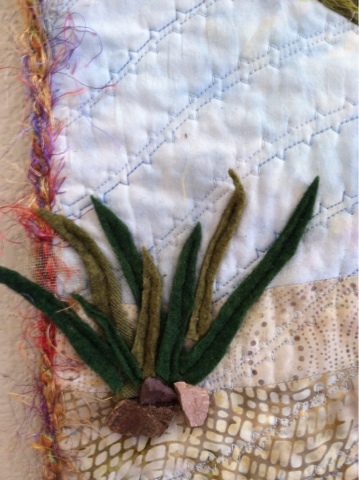 The Agave plant, yes it's felted wool and rocks from a walk. Funky little bird from the paint sticks (scrapbooking stuff) and my sign, yes we all have a sign. Oh and the hanger, it's from an old barrel I once displayed in my yard in Montana. Yep I dragged it to Arizona and used it! Winning!